Earlier this week, the Northern Ireland Enterprise, Trade and Investment Minister, Arlene Foster, officially opened HeartSine Technologies’ new expanded offices in Belfast and announced its plans to create 40 new jobs. The event was well attended by local media and we were delighted with the coverage, some of which can be viewed below. 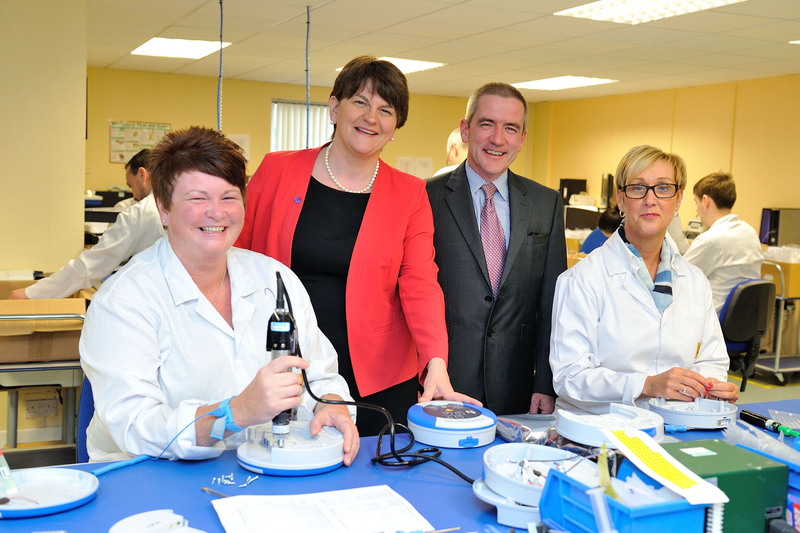 Enterprise, Trade and Investment Minister Arlene Foster today officially opened HeartSine Technologies’ new expanded offices in Belfast and announced its plans to create 40 new jobs. 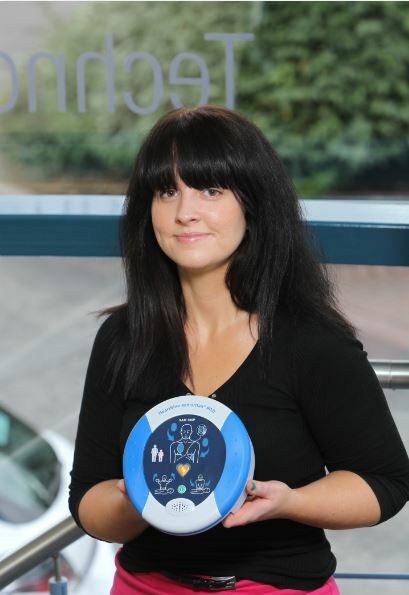 HeartSine Technologies, the Belfast-based innovator of defibrillator technology, has won a national business award from the British Private Equity & Venture Capital Association (BVCA). Dymphna Donaghy, Chief Technical Officer of HeartSine Technologies, picked up the prize at the BVCA Management Team Awards, held last night in London. HeartSine is proud to announce its sponsorship of the Arrhythmia Alliance (AA) Parliamentary Reception, which will focus on raising further awareness of the heart condition and improving patient care. Marking ten years of advancements in arrhythmia care, the Arrhythmia Alliance will hold the reception in the House of Commons in London, England, on Wednesday 11 June 2014. Rebecca Di Maio, Clinical Research Manager at HeartSine Technologies, Belfast, Northern Ireland. -What does your job entail? My job is Clinical Research Manager at HeartSine Technologies, which is the only company to design, develop and manufacture Automated External Defibrillators (AEDs) in the UK or Ireland. An innovative nationwide contest to raise awareness of Automated External Defibrillators (AEDs) has been launched in the US. 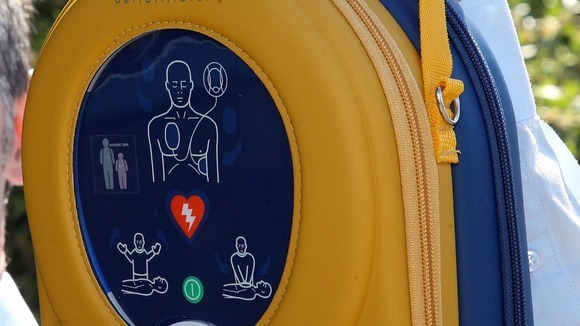 The ‘Defibrillator Design Challenge’ is inviting designers to submit visual ideas to make the presence of defibrillators more visible to the public. 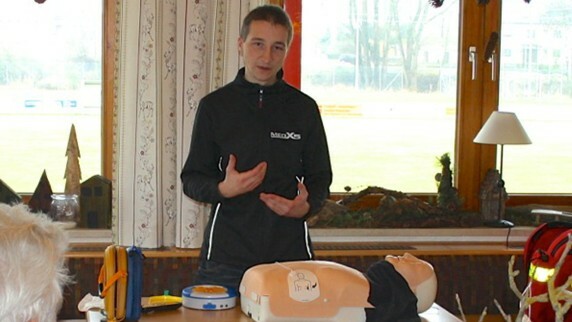 Understanding the need for AEDs, businesses in a small town in Friedberg, Germany have teamed up to help their local sports club purchase a HeartSine Technologies defibrillator. To celebrate and recognize life-saving events, HeartSine® has started the new Forward Hearts program which allows individuals or their families who have survived a sudden cardiac arrest event, to give a HeartSine donated samaritan® PAD 300P Public Access Defibrillator to the charity or organization of their choice.